Tips Porter service, Bell Boy Hotel, etc. Deposit of Rp500,000 on registration and not refundable (non-refundable) in the event of cancellation by the participant for any reason. The settlement no later than 45 (forty five) days prior to the date of departure. We have not done the block seat, hotel and other tour components over the letter of appointment & Payment has not been received. 31-45 days before departure will be charged 50% of tour price. 14-30 days before departure will be charged 80% of tour price. Apakah anda ingin mengembangkan hobi anda menjadi bisnis yang sukses? 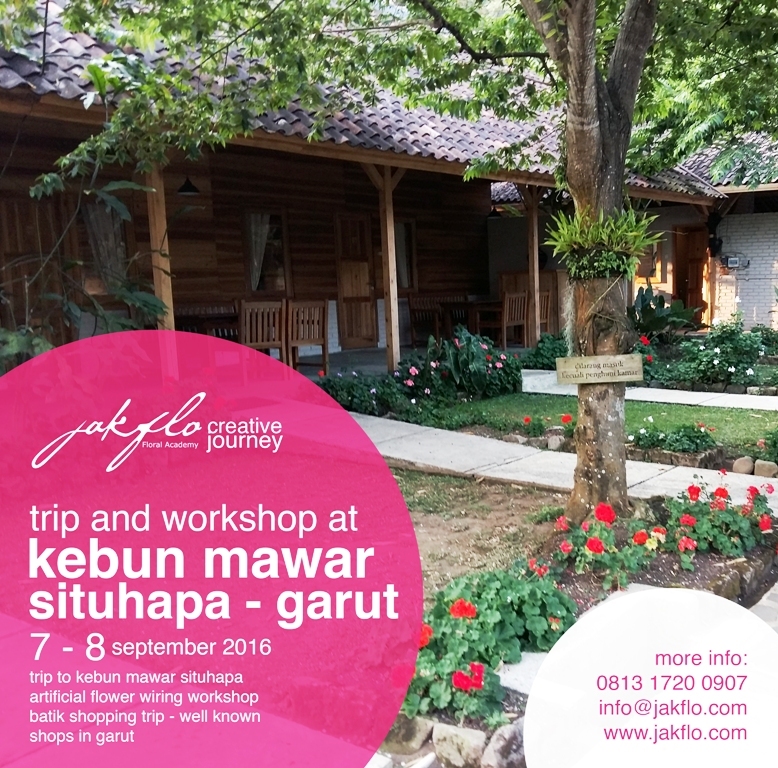 Jakflo Floral Academy menawarkan 4 jenis workshop yang berbeda di bulan APRIL ini. Kamu bisa memilih salah satunya, ataupun semuanya. Silahkan dipelajari dulu masing-masing workshop tersebut. Yuk lihat instalasi bunga dengan tema TROPICAL FANTASY di mall area Jakarta Pusat, yang di buat oleh murid-murid dari Jakflo Floral Academy.